The 10 Best Hiking Trails in West Virginia! Everyone knows that exercise is good for you, but if the idea of going to the gym doesn't appeal to you, consider the simple health benefits of walking. 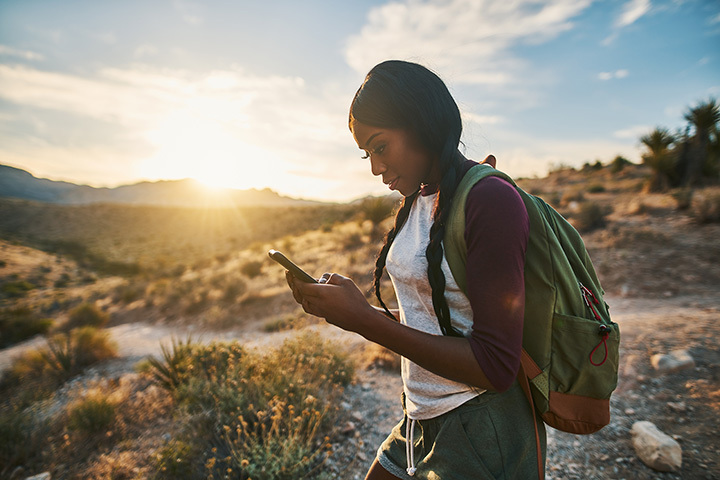 The American Hiking Society credits numerous studies about how regular physical activity, like hiking, decreases the changes of chronic illness and improves one's general health. Few places in America offer more beautiful locations for hiking than West Virginia. Get your feet moving for a workout you’ll enjoy and discover 10 of the best hiking trails in West Virginia. With over 42 miles of hiking trails, the U.S. Congress designated Otter Creek Wilderness to be part of a national forest system. This beautiful part of West Virginia forms a bowl shape and sits between Shavers and McGowan Mountains. Many animals live there, and hikers may see black bears, deer, turkeys, and beavers. Better wear waterproof boots, though, since you'll need to ford the creek a few times during your hike. Considered fun and historic, Loudoun Heights was once strategically used as a camp during the Civil War when nearby Harper's Ferry was under attack. This beautiful area of West Virginia offers some of the finest viewpoints along the Shenandoah and Potomac Rivers. As hikers travel along the trail, they can still see remnants of several blockhouses used by Confederate troops. Overlook Rock Trail is a steep trail considered moderate to difficult, so young hikers may need assistance. Most hikers enjoy the heavily wooded trail and beautiful wild flowers found there. Worth hiking any time, this trail is open year-round and is especially colorful in the fall, although winter brings a serenity that many hikers find equally enjoyable. Part of the New River Trail, Long Point Trail is considered an easy hike for most people. Hikers will pass Summersville Lake, a man-made reservoir and the largest in the state. Totally 3.5 miles, this trail will provide numerous photo opportunities. High Knob Fire Tower is in the beautiful Appalachian Mountains and is situated between West Virginia and Virginia, and is part of the Brandywine Recreation Area. Considered a strenuous hike, the trail is just under three miles and takes about four hours to hike. There are several camping areas along the way, too, and hikers who climb to the top of the fire tower will see an amazing panoramic view of the area. Overlooking the Cheat River, Raven Rock Trail offers amazing views of rock bluffs located high above the river. This is a moderate effort trail open all year and leashed dogs are permitted with hikers. More secluded than many trails in the area, plan on taking your time if you choose this seven-mile trail. Dolly Sods makes up 47 miles of hiking trails that follow old railroad and logging routes and is part of the Monongahela National Forest. The area is also a U.S. Wilderness Area that's part of the Allegheny Mountains. There are several restrictions for this area, such as no pets or bikes are permitted, and groups of more than 10 are prohibited. One interesting fact about this beautiful area is that there is flora and fauna found here that are not seen anywhere else south of Canada due to the unique weather conditions. If you want to experience a little bit of everything, this is the park for you. With over 4,100 acres of rugged mountain beauty, there are 15 trails available with difficulty ranging from easy to challenging. Bikes are not permitted except on graveled or paved surfaces, and most trails can be hiked in 1-2 hours. Known as the "Crown Jewel of West Virginia State Parks," Pipestem Resort State Park is situated above the Bluestone Gorge not far from Cass Scenic Railroad. This park has something for everyone, including an annual “Chief's Challenge Hike” and “Full Moon” hikes. There are “Walk Between the Parks” hikes throughout the year where walkers travel between Canaan Valley and Blackwater Falls. Comprising over 2,500 acres, Cedar Creek State Park is a hidden gem. Located in the central part of the state, the park offers the serenity of rolling hills and wide valleys and has five individual trails totaling 14 miles that range from leisure walking to challenging hikes. For those looking to stay for a few days, there are plenty of RV hookups and primitive camp sites available with clean facilities. View more West Virginia Hiking Trails.